Ever since Kevin Smith confirmed last week that his upcoming sequel Mallrats 2 is happening, the filmmaker has quickly been re-assembling his cast from the 1995 cult classic Mallrats. The director teased last week that original Mallrats stars Jason Mewes, Michael Rooker and Stan Lee will be back, and now he has confirmed two more cast members, Jason Lee and Shannen Doherty. Shannen Doherty was actually a guest on Kevin Smith's Hollywood Babble On podcast, where she confirmed that she will come back. Here's what the director had to say yesterday in a message to his https://www.facebook.com/YesThatKevinSmith?fref=photo|Facebook fans. "'Brenda?' On the new Hollywood Babble On, Shannen Doherty says she's going back to the Mall, ya'll! This is special to me because it was Shando herself who single-handedly got Mallrats the green-light back in '95! So Rene returns, as the RATS roll call continues! 5 down and 7 to go! Collect 'em all! ‪#‎MR2‬"
Earlier today, the director had this to say about Jason Lee coming back to play Brodie. "'Saaayyy... Would YOU like a chocolate covered pretzel?' BRODIE IS BACK! 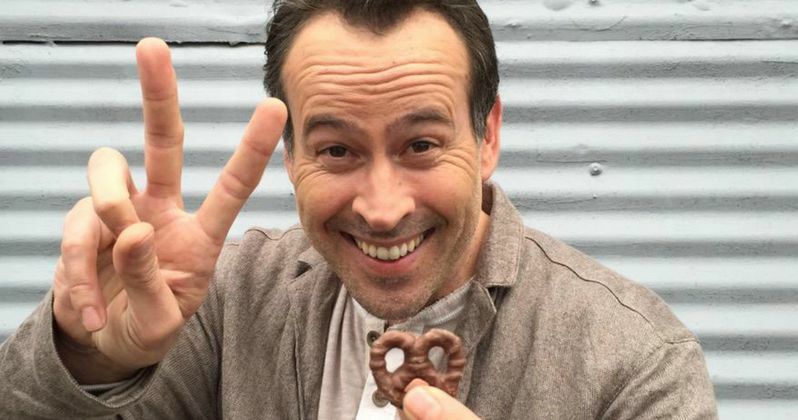 So by the end of this year, Jason Lee is coming to the MALL, ya'll! 6 down, 6 to go! Collect 'em all! #Mallrats2"
While it isn't completely certain who the other six actors are, the director's "6 down 6 to go" comment likely means he wants original Mallrats stars Claire Forlani, Jeremy London, Joey Lauren Adams, Ben Affleck, Ethan Suplee, and Renée Humphrey back for the sequel. Given how Ben Affleck's career has blown up in the 20 years since Mallrats, it would be an impressive feat if Kevin Smith could bring him back for Mallrats 2. The director originally revealed that he wants to start shooting by May 2016, so we'll have to wait and see if Ben Affleck has an opening in his schedule at that time. While we wait for more casting news, take a look at Kevin Smith's tweets below.